The standard chair features a plastic or aluminium base, semi-soft lockable castors, two different synchro mechanisms, height adjustment with a gas spring, seat depth adjustment and backrest height adjustment. The resistance can be adjusted according to the user's weight. This wide product family provides both affordable basic office chairs that are easy to use and versatile, well-equipped, impressive office chairs for the demanding customer. 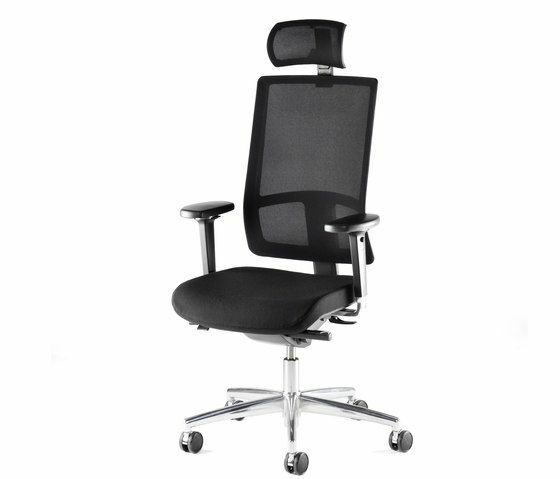 The Still office chair range also includes a lightweight, attractive and ergonomic option with a mesh-lined backrest. The chair easily adapts to the user's weight. The backrest is shaped to provide good lumpar support and the optional additional lumbar support provides for the increased ergonomics of Still working chairs.